A Big Thank you for the invitation. The vibrant red-coloured, exquisite and delicate Raspberry fruit is a powerhouse of innumerable health benefits. In addition, it is packed with anti-aging and skincare benefits! An all time favourite is the Raspberry Roots range. 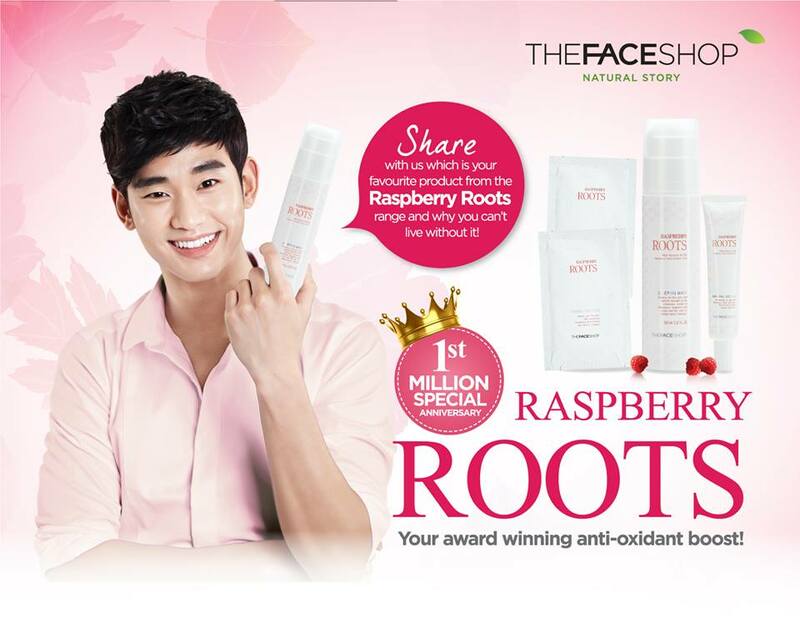 Raspberry Roots Collagen Eye Patch is retailing at SGD$8.90. Bid goodbye to my puffy eyes! 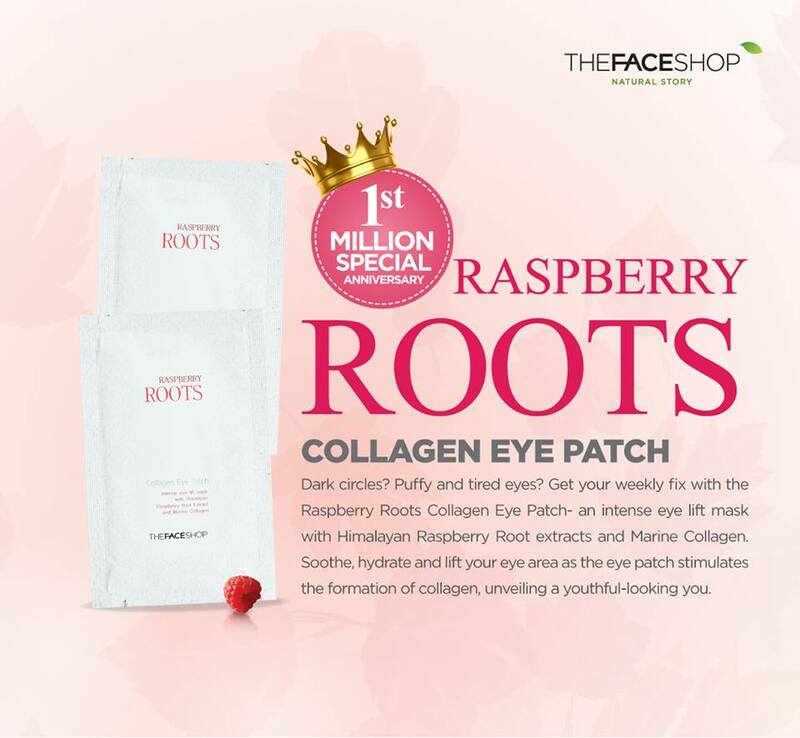 The raspberry roots collagen eye patch is an intense eye lift mask with himalayan raspberry root extracts and marine collagen. soothe, hydrate and lift my eye area as the eye patch v stimulates the formation of collage, revealing youthful-looking skin. My current addiction Raspberry Roots Sleeping Mask. The award winning Raspberry Roots Sleeping Mask nourishes, hydrates and relaxes skin throughout the night. Containing Raspberry Roots from the Himalayas that are rich in anti-oxidants. it helps to promote collagen synthesis, waking up to tighter and firmer skin. i feel my skin is more supple when i wakeup in the morning. Also, pairing with the Raspberry Roots depuffing eye gel. Do you have Dark circles, puffy and tired eyes? i used to have too but after using Raspberry Roots depuffing eye gel, for bout 2weeks, i feel that my dark circle is greatly improved. The Raspberry roots depuffing eye gel provides instant cooling sensation and hydration for the eyes. the caffeine contents helps to stimulate blood circulation, reducing fluid retention. The rich vitamin C from the grapefruit also aids in brightening my skin tone around my eyes . 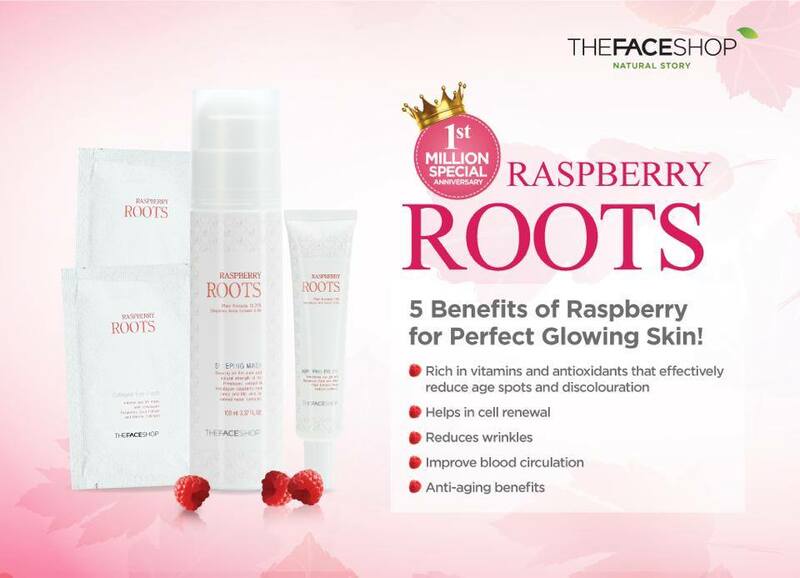 Containing Raspberry Roots from the Himalayas that are rich in anti-oxidants. 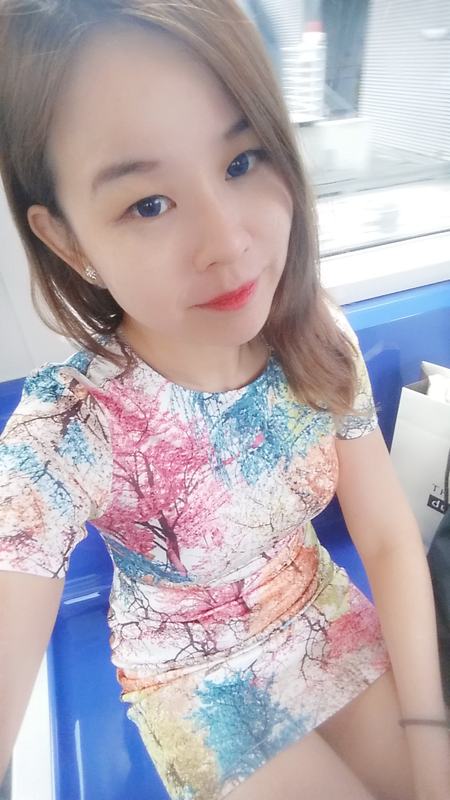 it helps to promote collagen synthesis improves the firmness around my eyes.